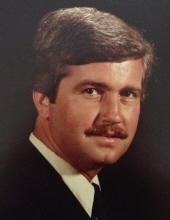 Celebrating the life of Thomas Harold McQuaid, Jr.
Obituary for Thomas Harold McQuaid, Jr.
Mr. Thomas Harold McQuaid, Jr., 65, passed away on Thursday, April 11, 2019 at his home. At his request, all services will be private. A native of Carteret County, Mr. McQuaid was born to the late Pearl Bravaldo McQuaid and Thomas Harold McQuaid, Sr. He worked as a Television Media Coordinator for many years and retired from East Carolina University. He is survived by sisters, Mary Kathryn “Kathy” McQuaid, Marilyn M. Ueckermann and her husband Fred Ueckermann, niece Jennifer Kathryn Ueckermann, nephew John Daniel Ueckermann, all of Jacksonville, Fl. and God-son, Ryan Cybrowski of Greenville. To send flowers or a remembrance gift to the family of Thomas Harold McQuaid, Jr., please visit our Tribute Store. "Email Address" would like to share the life celebration of Thomas Harold McQuaid, Jr.. Click on the "link" to go to share a favorite memory or leave a condolence message for the family.